Recently, after spending three weeks living alone and feeling like I was in the middle of nowhere, I started recalling my childhood. When my mother asked me where I’d been, I’d always say ‘nowhere’, and when my brother got on the wrong train, he ended up calling from a payphone in the ‘middle of nowhere’. One day, whilst day dreaming, I began to wonder, is there really such a place as the middle of nowhere? Ok, I wasn’t getting out much, it was extremely hot and everyone was staying inside, it really did feel like I was the only person in the world. Then I realised, I couldn’t be in the middle of nowhere because I have electricity, phone, and high-speed internet. So, in a spare moment on yet another hot and sunny day I decided to find out if there was such as place as ‘Nowhere’, and guess what, there is. Now, personally I think this is cheating a bit, because according to the sign this place is actually called ‘Nothing’. There’s a blog ‘Dispatches from Nowhere’ which suggests that the settlement was originally called Pleasantville. Due to excessive heat the council were sued for misrepresentation and false advertising as the place was not pleasant at all. They decided to change the name, there were lots of suggestions and heated arguments which caused one council member to storm out saying they were ‘stuck in the middle of nowhere’, nobody would visit and there would be nowhere to go, and so the name stuck. According to the US geological Survey there is a place called Nowhere, Oklahoma. It is an area of home rule in Caddo Country, at the southeast end of the Fort Cobb Reservoir. Wikipedia, says that Nowhere or No-Where is a marshy area by the River Bure in Norfolk. The area was where the villagers of Acle had salt-pans where they produced salt for preserving food. In 1861 there were 16 people living in four houses in the middle of Nowhere, but from 1862 the name no longer existed in the local records. 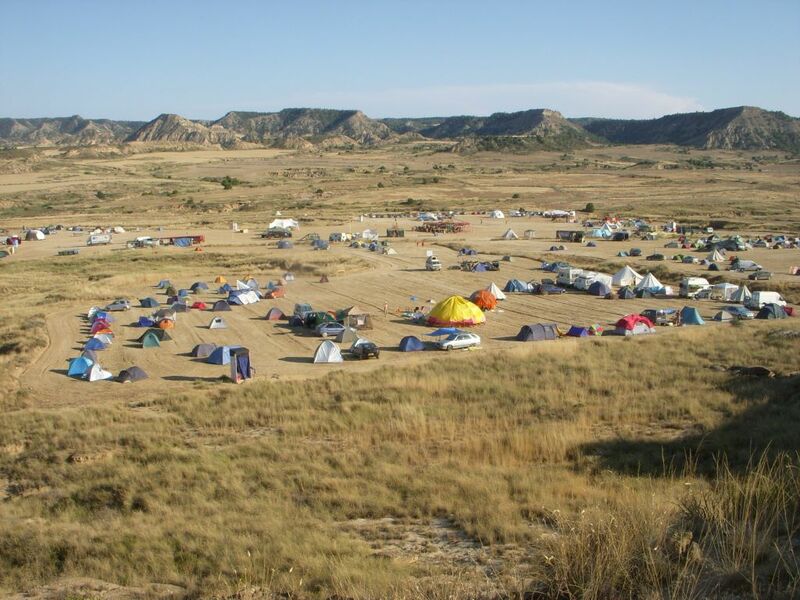 The Nowhere Festival, held in the Spanish desert. The festival’s location is kept a secret until a few days before the event; it’s specifically for people who want to make something out of nothing. 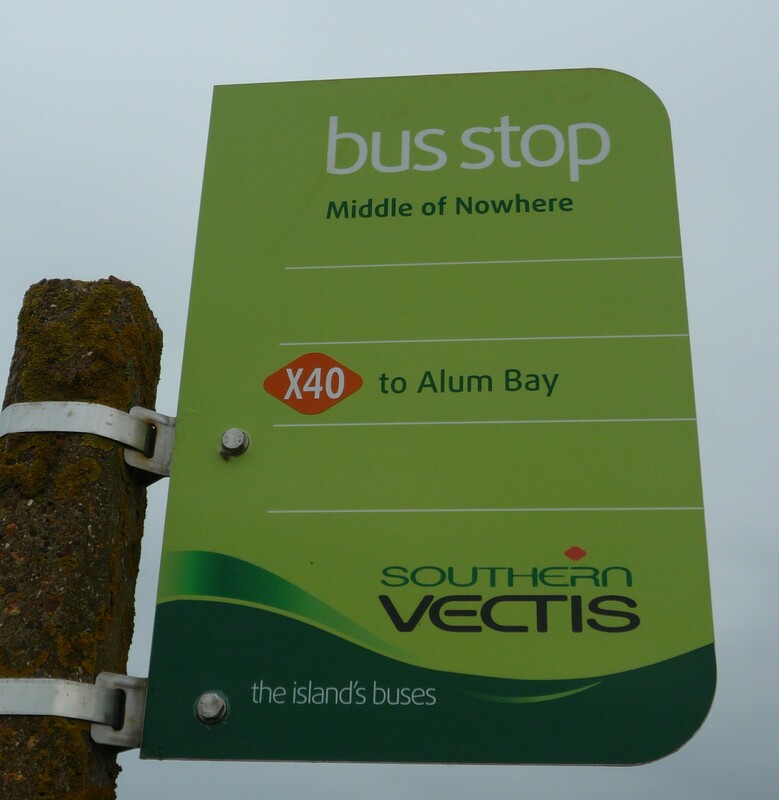 Finally the last place considered in the middle of nowhere is a bus stop on the A3055 between Chale and Atherfield, on the Isle of Wight. The stop has absolutely no purpose as it’s in the middle of empty fields! All this research has got me thinking, wouldn’t it be interesting to find out if there were other places such as somewhere called ‘Beyond’. You could then say I’m in the ‘Back of Beyond’, or do I really do need to get out more! Curious to visit the middle of nowhere? Use our magical hotel comparison tool to search for hotels in nowhere! I like the first case of Nowhere, Arizona. It is so real! the story of how the name came to be is also believable. I find it a bit funny because its like adding insult to injury, why? First, the people are living in this place are living quite an uncomfortable life because it is very hot out there and, it is called “Nowhere”. I think it is a place that tourists wouldn’t want to visit just hearing its name. It is my first time to hear that there really is a place called “Nowhere”. Honestly for the case of Nowhere in Arizona, I think its name is quite appropriate. The logic is quite simple; Who would want to be stuck “in the middle of nowhere”? Nobody. And who would want to be stuck in the middle of a very unpleasant and uncomfortable place? Nobody again. Haha this is interesting.. I usually work with a lot of Orlando business travel and did not know either that there was such a place called Nowhere. For their to be 3 places to appear is pretty remarkable as well. Nowhere every place are remarkable as well, It was extremely hot and everyone was staying inside, it really did feel like I was the only person in the world. I like the bus station panel. It’s so great! imagine people look it! Interesting Question and Interesting article. Could you imagine if someone asked where you live and you say “nowhere.” Or having an address and someone mails you something to Nowhere, Az? Funny, creative post. Well … we went to crater lake 3 years ago and ended up in a place called Ashland, Oregon and there is a buddhist temple in a thick forest. To me that was middle of nowhere. Also, last year when we went on Disney World Vacation we had been to this place (i cant remember the name… its north of Orlando 2 hours) and I felt like an alien planet. It is nice to know about place named nowhere..The logic is quite simple; Who would want to be stuck “in the middle of nowhere”? Nobody. And who would want to be stuck in the middle of a very unpleasant and uncomfortable place? Nobody again. I guess if you said you lived “nowhere” after sombody asks you where you live they would think you were homeless.